Picture yourself spending three days walking down the magnificent Oregon Coast—along beaches and down sand spits, over headlands and through saltspray meadows, with views that stretch to forever—with all the logistics taken care of for you. 2017 is the 50th anniversary of the Oregon Beach Bill—the landmark legislation that designated Oregon’s beaches public up to the vegetation line. 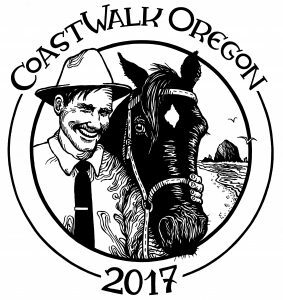 Join North Coast Land Conservancy as we spend three days walking roughly 10 miles a day—50k for the Beach Bill’s 50th anniversary—on the most historically significant and arguably most scenic stretch of the world-class Oregon Coast Trail, following the footsteps of our mascots Gov. Oswald West and his horse Fred the Freak. And every step you take on CoastWalk Oregon helps support coastal conservation! Questions? E-mail us at coastwalkoregon@NCLCtrust.org or phone (503) 738-9126.